Leading experts in glass, Glass Technology Services Ltd, are delivering a brand new one-day ‘An introduction to glass packaging’ training course on behalf of British Glass in Sheffield, United Kingdom, on 26 February 2019 – the first in its’ expanded training programme for 2019. This one-day course is tailored to those in retail, food, drink and beauty sectors to help with packaging selection, design, specification and quality control. It introduces delegates to key glass packaging topics – including a basic understanding of glass manufacture, processing and properties as well as defects and failure, packaging selection and specification, performance, design, decoration and environmental considerations and recycling. 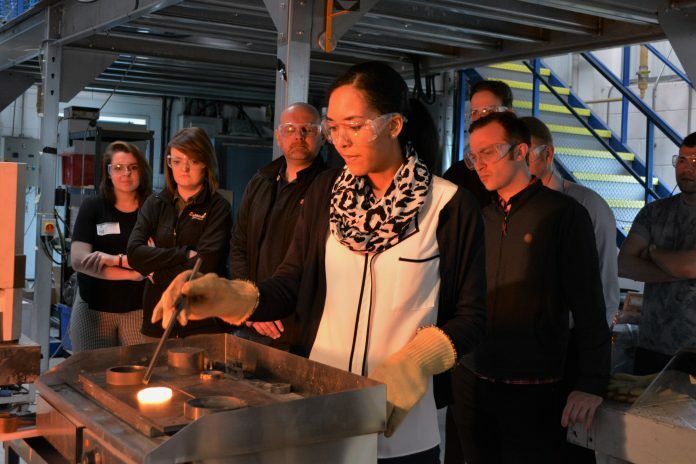 The course includes hands-on practical sessions on glass melting and forming as well as the inspection of glass products. Places are strictly limited to encourage an informal atmosphere, participation and hands-on practical sessions. Delivered by leading specialists in their respective fields, the course allows delegates the opportunity to raise issues specific to their own products and experience and includes question and answer sessions. The course is delivered on behalf of British Glass, who is hosting the training as an open course for the glass industry and its supply chain. For further information, or to book onto the course, please visit the British Glass events and training website.